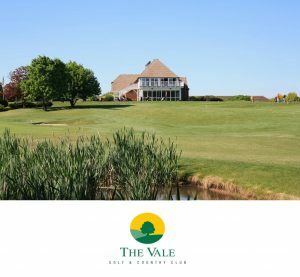 The Vale Golf Club lies in 300 acres of glorious Worcestershire countryside and makes a charming setting for weddings and civil ceremonies. 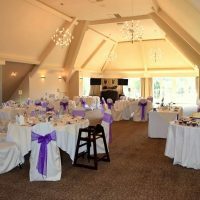 Surrounded by a patchwork of lush green fields and peaceful woodland, the Club enjoys breathtaking views of the Malvern and Bredon Hills. The dedicated and experienced wedding coordinator will help you create the day of your dreams. Working closely with each couple they can assist with any questions you might have regarding the wedding packages. 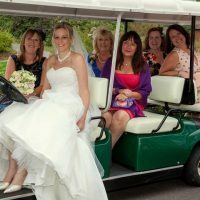 Understanding that all couples are unique, they can also tailor packages to suit your requirements for a personal and unique celebration. The fully licensed Sir William Lyons Suite is neutrally decorated to compliment your chosen theme or colour scheme. 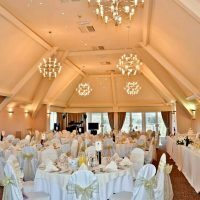 Accommodating up to 120 seated guests or 160 reception guests, this elegant suite features romantic chandelier lighting and balcony overlooking the grounds. Exclusively yours for the day, you can relax and enjoy your celebrations safe in the knowledge that you are the focus of guests and staff alike. Under the tutelage of Head Chef Chris McPherson, the catering team uses fresh, local and seasonal ingredients to create a delicious feast. Whether you fancy a simple buffet or full a la carte 3-course meal, the exceptional quality of food is reflected in the service and dedication of the team. To extend your stay why not consider a stay in one of the nine luxury wood cabins by the tranquil lake. Comfortably appointed they feature en-suite bathrooms, warm inviting décor and stunning views over the surrounding grounds.